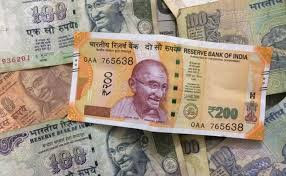 The rupee (INR) gained some more ground against the US dollar on Wednesday, a day marked with announcement of a hike in repo rate by the Reserve Bank of India (RBI). The rupee advanced 11 paise to close at a fresh two-week high of 68.43 per US dollar (USD). The rupee had registered a two-week closing high of 68.54 against the greenback the previous day. The RBI announced an increase of 25 basis points, or 0.25 per cent, in repo rate, or the key interest rate at which it lends short-term money to commercial banks. The central bank also maintained its policy stance as well as growth projections for the current financial year. Going forward, analysts expect the rupee to continue to trade at 68 levels and will monitor the Federal Reserve's policy statement closely. 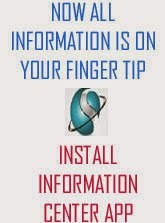 "Rupee should trade between 68.20 and 68.70 levels. The Fed rate decision will be a critical factor on future directions," Salil Datar, CEO and executive director, Essel Finance VKC Forex, told NDTV. The US central bank's Federal Open Market Committee is due to release its monetary policy statement on Wednesday, after conclusion of a two-day meeting. 1. The rupee traded in the range of 68.62-68.42 against the American currency before settling at 68.43 for the day. With that, the rupee closed higher against the greenback for the sixth consecutive session. At 68.43 per dollar, the rupee's closing value was the highest since July 17, when it had settled at 68.45. 2. Forex market sentiment on Wednesday was buoyed by the central bank maintaining its GDP growth outlook for the current financial year citing "evenly balanced" risks. The RBI projected a growth rate of 7.5-7.6 per cent in the first half of 2018-19 and 7.3-7.4 per cent in the second half. 3. A sharp fall in global crude prices further supported the rupee. Crude oil prices fell below $73 a barrel on Wednesday. An industry report suggesting higher supply going forward pressurised oil prices. Last month, Brent fell more than 6 per cent and US crude slumped about 7 per cent, the biggest monthly declines for both benchmarks since July 2016. 4. The bond markets reacted positively, with the 10-year benchmark bond yield plunging by 7 basis points to 7.70 per cent from 7.77 per cent. "The bond market sentiment was boosted by a balanced policy guidance and retention of the 'neutral' stance. In addition, higher real interest rate is also likely to support the Rupee at the margin amidst an uncertain global environment," said Zarin Daruwala, CEO, India, Standard Chartered Bank. 5. The US dollar traded firm against a basket of major currencies. News agency Reuters cited a source familiar with the US government's plans as saying that the White House was about to propose higher tariffs on $200 billion in Chinese imports. "The tightening of global liquidity will continue for some time, impacting rupee and thereby imported inflated for emerging countries like India. Further, there is an increased probability of Fed rate hike and consequent firming up of dollar," said Arun Singh, lead economist, Dun & Bradstreet India.